Do you ever have those days where your body is just not working with the pole? Grip aides are a great way to ensure that you have a safe practice session void of doubt or feelings like you might fall to your doom. But there are so many options! Do you use them all? 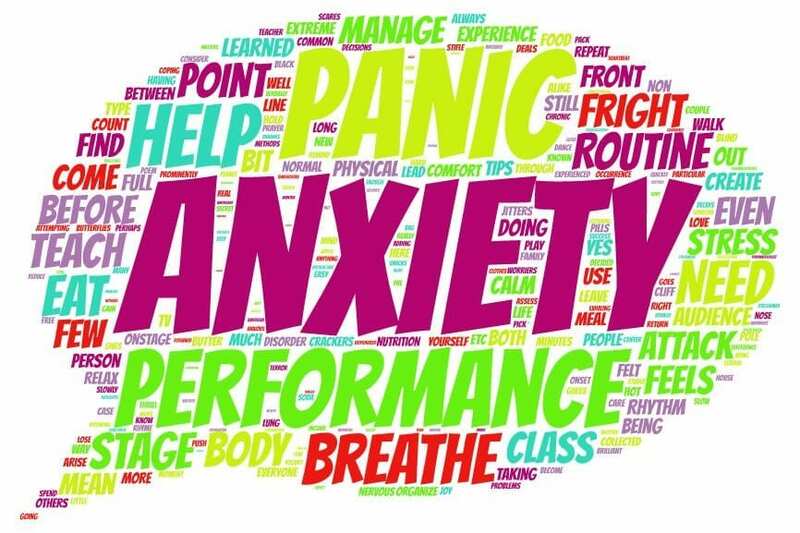 How do you know which is right for you? Different grip aides have different functions and are beneficial for different body types and needs. Below lists 7 great options that can supplement your training. **Please note that grip aides should only be used as an aide to help provide an extra layer of safety when practicing new and/or dangerous moves. They are not a substitute for building grip strength. 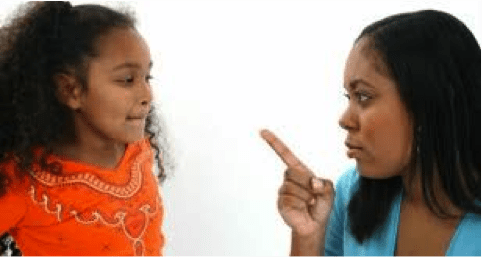 Does your skin get dry and ashy, but you can’t lotion before poling? 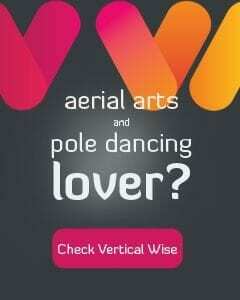 Don’t let the dry seasons of the year put a dry spell on your pole dancing! 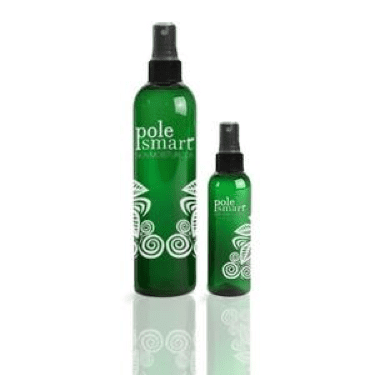 PoleSmart is an all vegan moisturizer spray that will enhance your skin’s natural elasticity and allow it to hold on to the pole for all of your amazing tricks! Simply spray it on, let it dry, and you’re good to go! Bonus: you can use this as a regular moisturizer for your body with its all natural ingredients! Avoid spraying it directly on your face to protect your eyes, but spray a few spritzes into your hands in the morning, rub it in, and let your face glow! Whether a new move makes you nervous or you’ve been working hard for hours, sweat is an inevitable part of pole dancing. Girlie Grip is a light formula that gives you the dryness to stick when you need while still being able to spin on static or slide into a new transition. 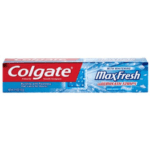 Its formula doesn’t dry out and has a pleasant, refreshing scent. Use it on your hands or any other part of your body that is getting too slick to pole. 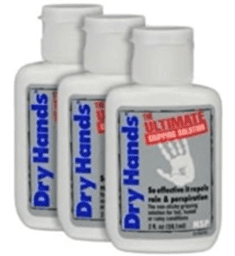 As this is a dry grip, you’ll want to make sure that slickness is coming from excess moisture on your body to properly balance your grip issues! Do you get a little dry? A lot dry? Or how about just have trouble keeping heat in your body in a cold room? You’re in luck! 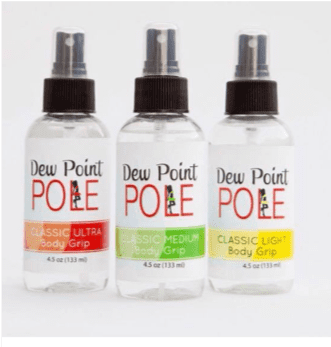 Dew point has 3 different strength levels to add oil-free dewiness to your skin to help you find that perfect level of moisture for maximum tackiness. All formulas are completely vegan for guilt-free grip and will help you master those skin-intensive holds. It’s the type of grip you can’t tell it’s even there, but you can definitely tell when it’s not! Mighty grip specializes in a huge range of products to help you grip the pole! Their grip powder stands out for its heat activated qualities. Apply the powder to your hands to feel a steel tight grip on the pole, and simply rub your hands together to reactivate!In addition to grip powders, Mighty grip also makes an abundance of grip accessories for your body. They have both tacky as well as non tacky gloves which are great for polers with hyperhydrosis. They also have knee pads that will protect the front of your knees while keeping the backs of them accessible to the pole, shin guards, ankle and thigh protectors, wrist supports, upper arm and elbow supports, all of which can keep your skin soft and safe while still gripping the pole! Do sweaty hands plague you wherever you go? 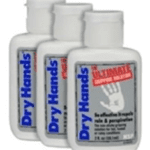 Dry hands is a liquid chalk formula that is great for absorbing extra moisture! Use it on your hands, feet, or wherever else you have unwanted sweat affecting your pole dancing. It’s a great tool for giving you the confidence you need to tackle new moves. Just start with a few drops, and then add more as needed throughout your training session! Toothpaste is one of my favorite little known secrets of pole dancing. 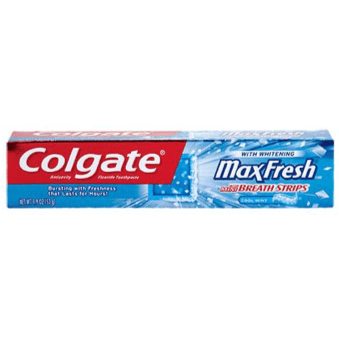 How do you use toothpaste to help you grip? Simply wash your hands with it like soap and rinse in cold water to close your pores at the end. It keeps them dry for 1-2 hours and leaves them totally clean to put any of the other grips above over top for added security. It’s like putting on primer before foundation! Added bonus? You smell minty fresh! There are tons of grip aides out there, and just like our bodies, they all have unique formulas. Accordingly it sometimes takes some trial and error to find what product or combination of products works best for your body. You can check out some of these and more at the 2018 PoleCon in Orlando, FL so be sure to visit the vendor booths to find your grippiest year yet!